Versatile skinny jeans in a pitch-black wash are engineered to provide daylong comfort. Using the latest in performance-fiber technology, TRANSCEND denim redefines luxury, recovery and comfort with a fabrication that provides a flawless fit without stretching out. 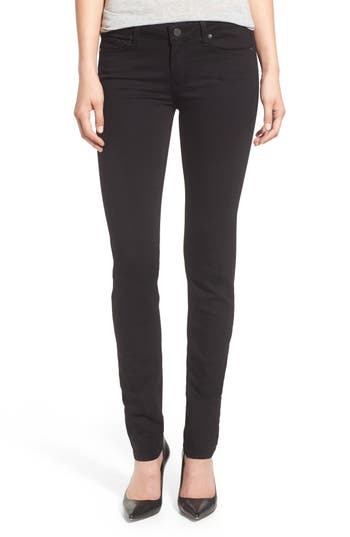 Style Name: Paige Transcend - Skyline Skinny Jeans (Black Shadow). Style Number: 721467. Available in stores.